To celebrate reaching 50 followers on my little blog, I have a fab giveaway for you all. CSN stores are offering one of my readers a £50 voucher ($50 if you are in the US/Canada) to spend in one of their websites. CSN offer everything you could possibly think of including ceiling lights, cookware & furniture. They have 6 UK websites which are CSN Stores; All Modern; Cookware by CSN; Furniture by CSN; Lighting by CSN and TV Stands. 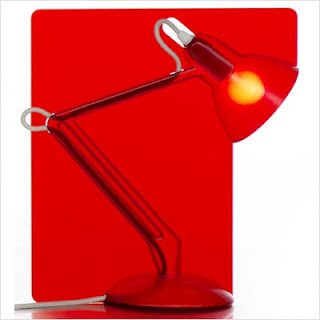 I love this anglepoise fifty table lamp in red or how about something for your wedding, like the two tier cake plate above. To enter all you need to do is leave a comment on this post and tell me what you would buy from any of the CSN websites. You can also have additional chances to win if you are a follower / become a new follower or if you tweet / blog about this giveaway. Please make sure you leave a separate comment on this post for each different way you enter (up to 3 in total) and include links to your tweet / blog posts too! Only comments on this post will be counted. Please also include an email address in your comment so that the winner can be contacted and have the voucher emailed to them. The giveaway will be open for 1 week, until 10pm BST on the 29th September 2010, then the winner will be chosen at random! 1. The giveaway is open to everyone in the UK as well as the US & Canada. 2. For a UK winner, the one time use £50 voucher can be used in any of CSN's 6 UK websites. 3. For a US or Canadian winner, the prize would be a one time use $50 gift certificate code to be used in any of CSN's 200+ US websites, which can be found through their main site. Hey lady - this is awesome... although I'd like the £50 better! Great giveaway! 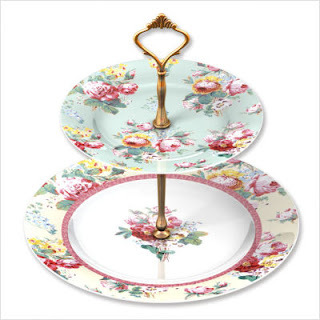 I'd buy some fun new party dishes for the fall gatherings we're planning. Ok, poured through the site and you'll laugh as the thing I want most of all is... the robot cookie cutter! He's insanely cute!! I would buy Christmas presents.A little Tikes ride on police car for my son and a corelle doll for my niece. new follower number 53,thats me! I would love to apply this GC to a new kitchen faucet!! I'd give the voucher to my friend to put towards buying an armchair for his new flat. Poor thing doesn't have enough money to buy furniture at the moment. Well girl this is exciting! Ooo heart bowls? A Rabbit pepper grinder? I need more time to consider!! I sure am a follower! My favourite thing is definitely the classic cake stand with dome! I NEED one! If i don't win i'm asking Dave for one for Christmas! I would get myself a nice new enameled dutch oven! Thanks! me me me me. We got a couple of Raymond Blanc by Anolon pans for the wedding and I love them would like more. I better be a follower - if I'm not then there is something wrong and I need to fix it. And a tweet about to follow - so glad I got back in time phew! Am I a follower? How do I know? I follow you on Google Reader and Twitter obviously!